Missouri sits right along the border of what is considered the Midwest and South and has distinct features of each. The warm, wet alluvial plain of the Mississippi River makes up the southeastern part of the state, while the Ozarks rise up in the southeast. The northern parts of Missouri consist of rolling hills and river bluffs. Missouri is a haven for outdoor enthusiasts, with activities for most times of the year. Missouri’s distinct seasons offer visitors a variety of fun outdoor adventures, from snowboarding and tubing in the northeast during the winter, to hiking the scenic trails of the Ozarks during the warmer months. The state is home to hundreds of caverns and cave trails that are open for exploration, as well as the mighty Mississippi River that provides unlimited water sports and recreation. Living Word National Bible Museum– This museum located in Branson, Missouri takes visitors on a journey through the Bible from its manuscript form to the earliest printing press and modern translations. Sight and Sound Theatres– A highly acclaimed theater company, Sight and Sound Theatre in Missouri offers top-notch musical theater productions of biblical tales that are perfect for families and church groups. National Forests and State Parks- Missouri is home to numerous parks, forests and wildlife reserves such as: Lake of the Ozarks State Park, which offers camping, fishing, hiking and cave trails, Echo Bluff State Park, and Mark Twain National Forest. Missouri is a wonderland of natural beauty and adventure. 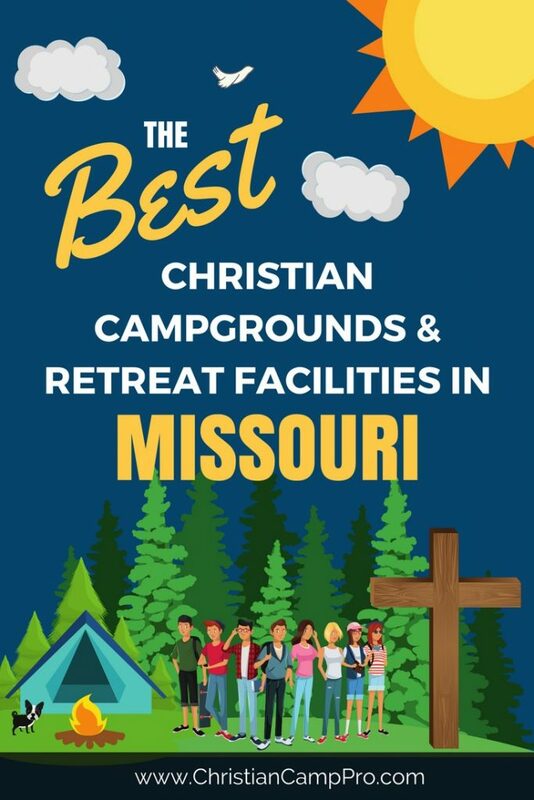 With an abundance of exceptional entertainment both indoors and out, Missouri is a great place for any adult retreat or youth camp.